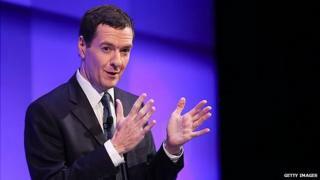 Greater Manchester is to have an elected mayor to preside over regional issues, George Osborne has announced. The mayor will oversee policies such as transport, social care and housing as well as police budgets. The announcement comes two years after people in the city of Manchester voted against having an elected mayor. The chancellor described the deal as "a massive moment for the north of England". "I have reached agreement with the civic leaders of Greater Manchester to create the first metro-wide elected mayor outside of London," he said. "This will give Mancunians a powerful voice and bring practical improvements for local people, with better transport links, an Oyster-style travelcard and more investment in skills and the city's economy. "I want to talk to other cities who are keen to follow Manchester's lead - every city is different and no model of local power will be the same. "Giving cities power is part of our long-term economic plan to reduce the decades-old gap between north and south; London and the rest," he said. The first mayoral election is expected to take place in 2017. The mayor will lead Greater Manchester Combined Authority, chair its meetings and allocate responsibilities to its cabinet, which is made up of the leaders of each of the area's 10 local authorities. Greater Manchester's leaders have always rejected the idea of a Boris-type elected mayor, but it appears the deal on the table was too good to turn down. It involves control of budgets and power to decide what happens with transport, housing, planning and policing. One politician told me they were "amazed" at the amount of powers being released to them. The concern was about one person having all the power over an area where different places have different needs. So what Wigan and Oldham need might be very different to what Manchester needs or wants. But in order to introduce major changes, the mayor will still need the support of two thirds of the combined authority's leaders. One council source told me this effectively "puts the brakes" on the kind of elected mayor they were worried about. Councils in Greater Manchester currently control £5bn of public money each year. This deal would give them control over a further £2bn. The deal was agreed less than two weeks after details emerged of an alternative plan for devolution in the region, which did not feature a mayor. Sir Richard Leese, vice chairman of Greater Manchester Combined Authority, said: "It was clear that an over-centralised national system was not delivering the best results for our people or our economy. "We are extremely pleased that we can now demonstrate what a city region with greater freedoms can achieve and contribute further to the growth of the UK." Media captionGeorge Osborne: "It is the first time we've ever had a city-wide mayor outside London"
Communities Secretary Eric Pickles said: "This landmark agreement shows how serious we are about moving powers out of Whitehall and reinforces the significant authority and finance already given to local communities." However, Liverpool's elected Mayor Joe Anderson was critical of the plans. He said: "Manchester and many of our other great northern cities have been absolutely battered by the government's austerity measures and cuts. Whatever they're giving back to the region with this plan is nothing compared to what they are taking away. "It's like the government taking a house off you and giving you a shed to live in. But a shed is still better than nothing. "Granting more power to Manchester is a step in the right direction and I'm pleased they're doing it, rather than just talking about it. But it's only a first step." The plans have called into question the role of Greater Manchester's police and crime commissioner (PCC), as responsibility for setting police budgets would be transferred to the elected mayor. As mayor of London, Boris Johnson fulfils the PCC role in London. However, BBC political correspondent Ross Hawkins said Treasury sources insisted the announcement did not amount to scrapping the PCC position in Manchester, currently filled by the former Labour MP Tony Lloyd. But it would put an end to the principle of an elected local representative whose sole job is to oversee the police outside the capital, he said. Greater Manchester mayor: What do local people think? Should all English cities be more like Manchester?